I have had too much time sitting in a car playing taxi and been thinking up crazy ideas. parents/grandparents/passionate sport people within the Oroua country schools cluster region. Club that will service whatever sports the children are playing. - Take the stress of getting enough players to form teams . . . . . . .
change (ie Netball – Loren and Kathryn would keep their roles and Steph in hockey). the 26th of March at 7pm, at Waituna West School. If before then you have any questions just make contact and I will be happy to chat. A reminder to all parents and students that the school will be closed tomorrow (Wednesday the 27th of February) due to our local power lines company – Powerco, needing to temporarily turn off our power to perform important maintenance work. Interruption time is from 9.15am to 3.15pm. The school cannot operate without power. We apologise for any inconvenience caused by this closure, but this is entirely out of our control. School will reopen for instruction on Thursday the 28th of February at 9.00am. Please find attached, information regarding this upcoming event to Wanganui. Please read, fill in the appropriate sections and return to school on or before the 6th of March. If you have any questions regarding this information, please don’t hesitate to contact either Mary or Darren. Welcome to week 4 of term 1, 2019. 2019 Term Dates : Term 1 : 7th Feb - 13th April. Term 2 : 30th April - 6th July. Term 3 : 23rd July - 28th Sept. Term 4 : 15th Oct - 19th Dec.
strategies for managing self and developing resilience, taking responsibility for their actions. Weebly and Blog to a new goggle site for our newsletters. there is a link on the new site to the old site. 27th Feb : The school will be closed for the day as there will be no power. 28th Feb : Hearing Vision Screening. 1st March : Oroua Triathlon at Āpiti. 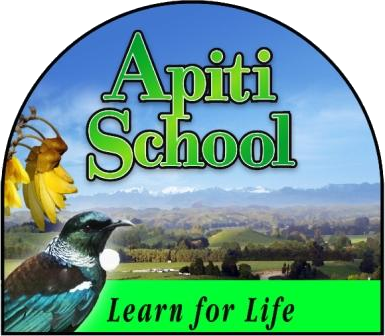 6th March : Bon Āpiti to start. 8th March : Ōroua Schools Swimming Sports at the Makino. 13th- 15th March : Education Outside the classroom trip to Whanganui. 7th June : Board of Trustee Elections. Owen and Kealee now on Purple. Isobella - 2 lessons, Connor, Abbey, Renee - 1 lesson. 2nd Autumn, 3rd Edith, 4th Connor. and Eden. Age 5/6 1st = Edith, 2nd= Claire / Emily, 3rd Connor, 4th Rydah and Jake. 1st = Abbey, 2nd Owen, 3rd Bently. Age 5/6 1st = Claire, 2nd Eden, 3rd Rydah. Edith 16 points, Connor 10 points. Overall School Work Champion = Sarah! 2nd Owen, 3rd Ava. Well done!! To all parents for supporting the school and the students by helping with the sculptures etc. It was great to see so many parents and families at the show, it was indeed a great day! required from you on the day. First race starts at 10.15 a.m. Certificates will be presented at approximately 2 p.m.; home time 2.15 p.m.
pool and from the pool to the finish line. Races start with 11 Year old and 12+ year old boys and end with 5 and 6 years. Team events: 11 and 12+ years, 7 and 8 year old Teams, 9 and10 year old Teams. * A manager is not required at the pool as we will be using lanes. * All teams members for the team events are to run from the pool to the finish together. students can not join younger teams. eligible for a participation award. Bikes must be put in the correct section in preparation for races. must be worn on the bike. School shirts must be worn on the bike. Bikes must have brakes which work and saddles adjusted to the correct height. swim (not run). Flutter boards will be available for use. No dolphin diving. The ramps on our tennis courts are out of bounds. The Fire Brigade and police will be in attendance. This is imperative to the children’s safety. PLEASE ensure ALL parents are aware of this. changeover points and the pool entry. and coffee is also available for parents at a small cost. to wear their school uniform please. Kimbolton will sell food and drink. There will be no school bus running at all on this day. great Oroua day and a chance to see your child’s swimming confidence and ability. as this would be very much appreciated. this time could vary, so if you are leaving the pool please return by 1.30. - There will be no lunch break - Kimbolton School will have food for sale. All students need to be at the pool by 9.30.
grass, Mrs Cuming will be waiting there. The students will then be divided into 2 groups. what they can do and what their confidence levels are. 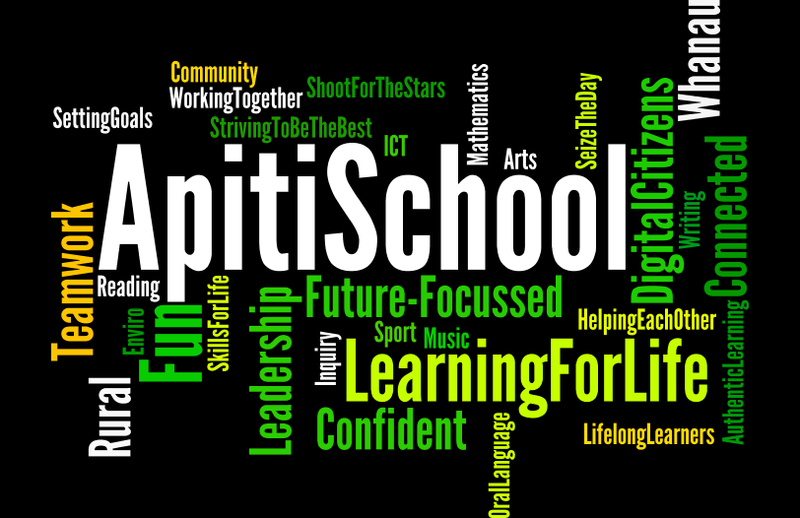 Apiti School site - Mr Hodder will be waiting there. you return in time for pick up. If you require more information regarding the above, please contact Mary or Darren. Makino for their child to practice their stroke widths or lengths, it would be an advantage. which are not over night or could contain risks. record. If any parent does not wish their child to be checked, please inform the school. This year our EOTC is to Whanganui . We will be staying at Green Pastures Camp. all food will be provided except for morning and afternoon tea . will be water based eg raft building, mud run, kayaking, canoeing and SUP paddle boards. to Kai Iwi beach to the amazing playground. Then the seniors are going sailing at Lake Whiteroa with an instructor . will be listed on more information closer to camp. to Christine Lowe and family on the passing of their dad and grand-dad. are in the school kitchen for you to pick up. birthday. - 25th January - Katie! 29th January - Kealee! 6th February - Jake! 28th February - Danielle! 3rd March - Claire! 4th March - Ava! Want to Print a Post? Just click on the 'Print Friendly' button at the bottom of each post to get a version that can be easily printed, saved as a PDF or emailed.